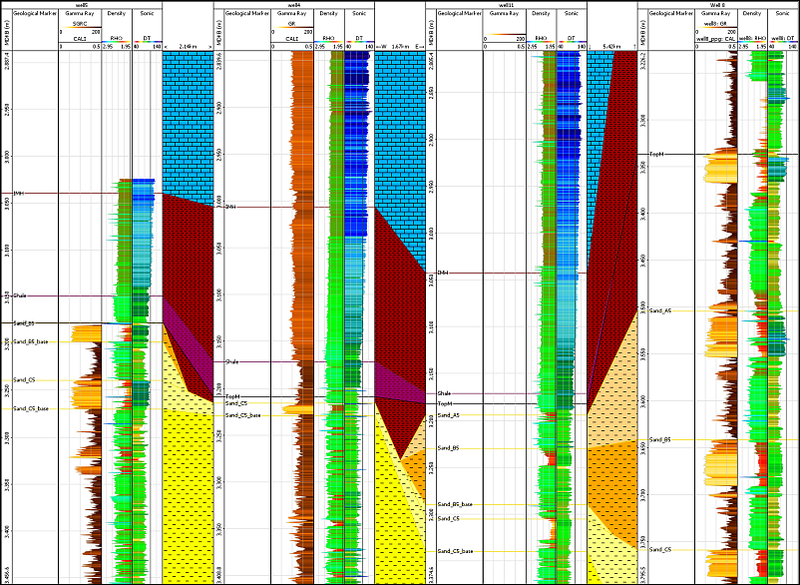 The Well Correlation View is a great way to interpret logs across wells and can provide a detailed understanding of the stratigraphy. 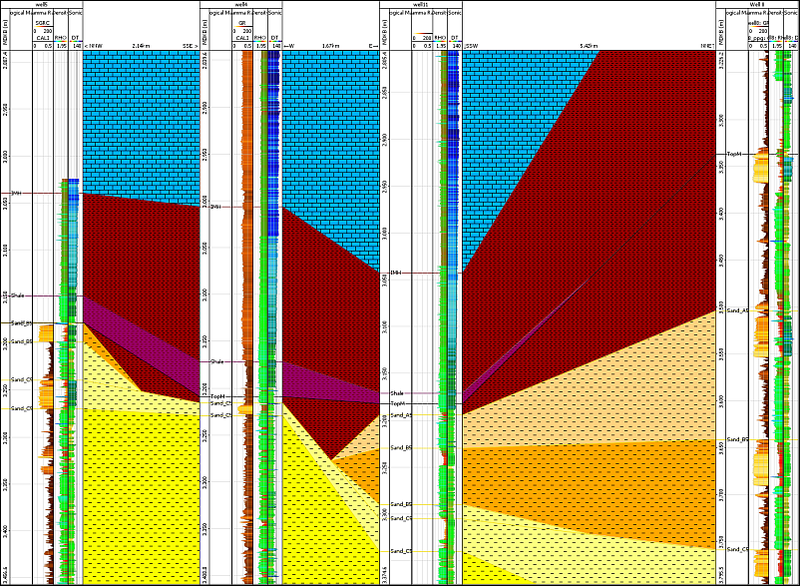 We’ve correlated these four wells below. This view is quite misleading! The distance between these wells is not accurately represented. An interpreter might think that these wells are equally spaced. Let’s take a look in the Map View. The distance between these wells differs a lot - by a factor of four in some cases! We’d like to update the correlation to represent that better. Let’s take a look at the Connections track in Well Correlation. Here we can enable the Distance Scaling option. Insight will proportionally stretch the track width according to the distance between the wells. 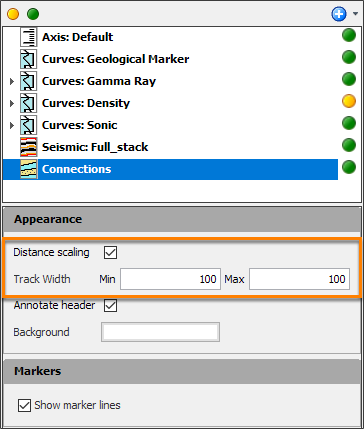 Use the min and max setttings to configure the track size for the closest, and widest spaced wells respectively. 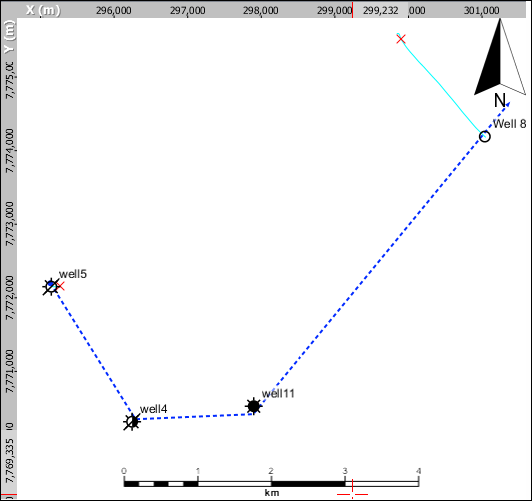 In the correction track header, also notice the distance and direction annotations between each well. Handy for understanding the orientation.